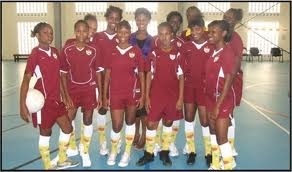 I attend the Soufriere Comprehensive Secondary School, which is located at Cressland,Soufriere,St. Lucia. The principal of my school is Mrs. Joan Hippolyte and the vice principal is Mr. Collin Wintz .I am in form 2 ,class 2a6 .My home room teachers are Miss Issac and Mr. Jude ,our senior prefect is Sancha Charlemagne and our class prefect is Caleb Didier . There are over 21 buildings,73 teachers and 709 students which make up the school. In the field of academics we are not the smartest school on the island but what we lack in academics we make up for in sports. 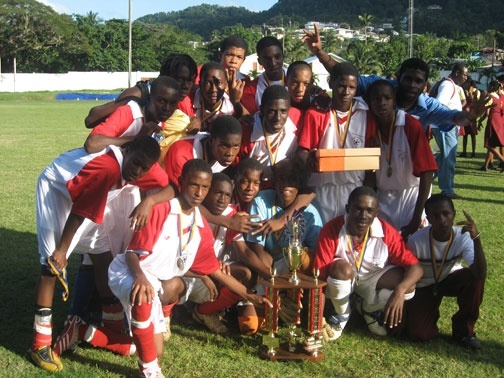 We have an undefeated junior soccer team on the island, an undefeated senior volleyball team .At the assembly they told us that a student named Keeroy Charles who is so good in football that they selected him to represent the island at a football conference meeting in England to show off his skills to the coaches of the Chelsea football team . Our school may not be in the best condition but that does not affect our school work both in the field of sports and academics .